with only an address and hope that there would be a room. and home for a few days. they came in each night piss-drunk. from club to club on the roman streets. and peed in the tiber river. 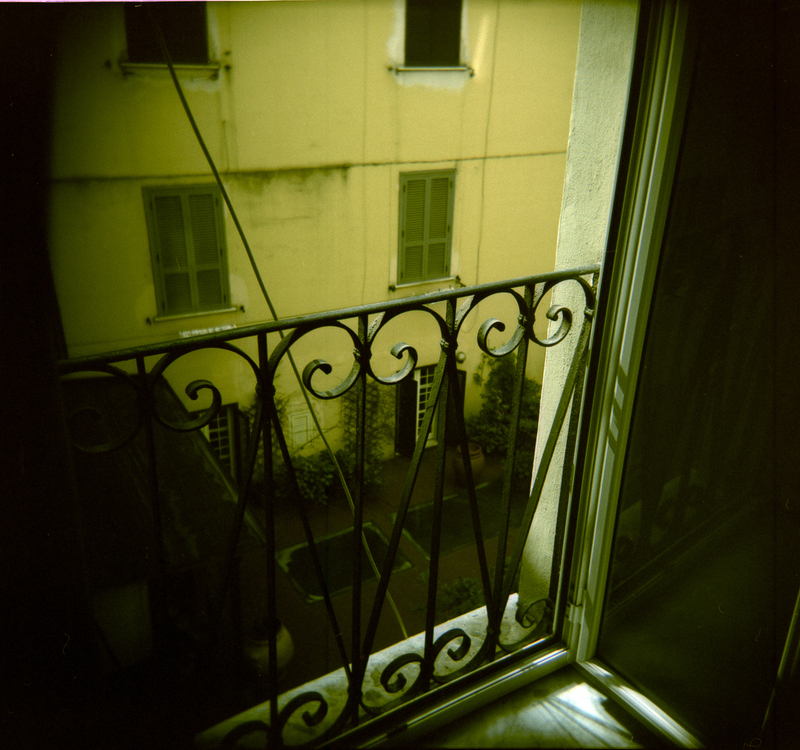 window in rome, italy, 2004 "love, holga"